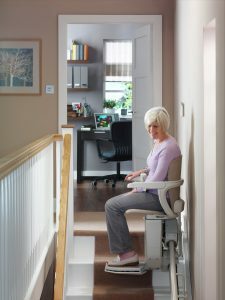 Looking for a stairlift that is compact and easy to use? It’s time to meet Starla! 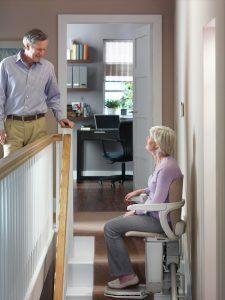 This stairlift boasts a large number of intelligent safety features and folds away easily. It is also able to be customized to suit your tastes and the appearance of your home. 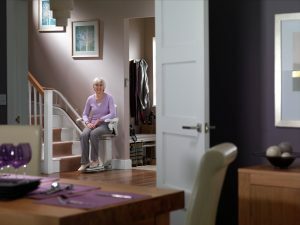 Always ready for use, with a comfortable seat and footrest, the Starla is a practical and affordable stairlift that unobtrusively gives you freedom and independence in your home. It takes us just a few hours to install. Would you like to know more? 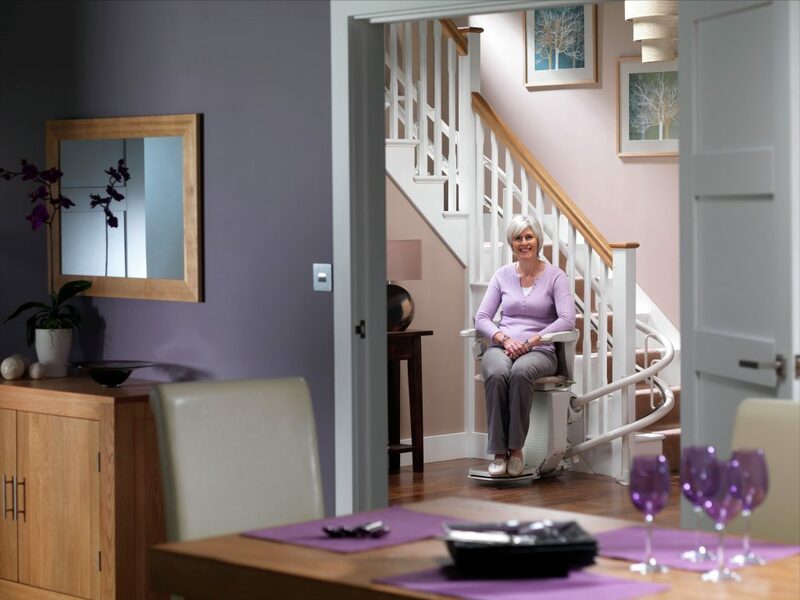 Added Comfort – We add a slight backwards pitch to the chair. 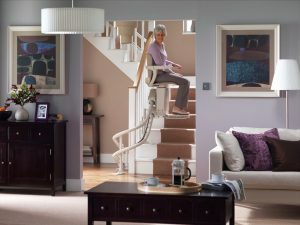 It gives you extra comfort and adds to your safety. 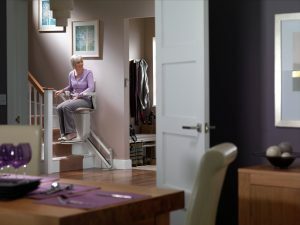 Easy In, Easy Out – The footrest raises and lowers at the push of a button, making it easier for you to get in and out of the stairlift. Plenty of Options – From fabrics to colors. What would look best in your home?